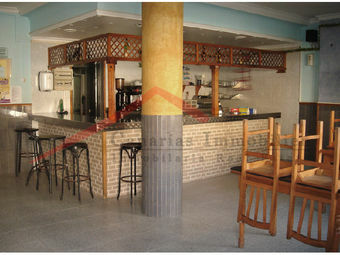 COMPOSED OF 6 APARTMENTS AND CAFETERIA-RESTAURANT. It is free of charges and occupants. 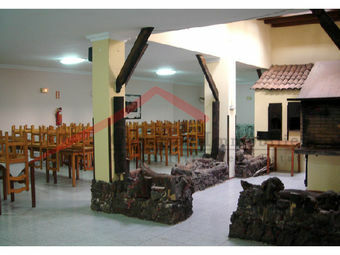 The east of the Island Fuerteventura with greater guarantee of sun throughout the year. Total surface area: 400 m2. 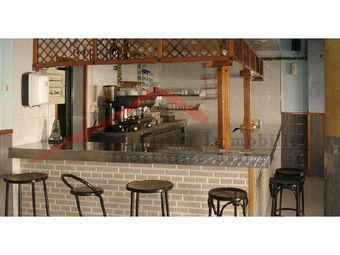 Local of 305 m2 in ground floor- street, fully equipped bar-cafeteria area, quite large dining area, fully equipped kitchen, with oven and grill. 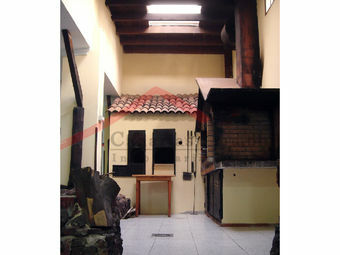 1 apartment of 60 m2 on the first floor, composed of 2 bedrooms, 1 bathroom, kitchen-living-dining room. 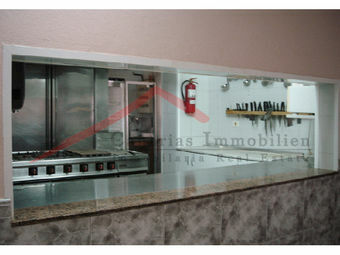 1 apartment of 49 m2 on the first floor, composed of 1 bedrooms, 1 bathroom, kitchen-living-dining room. 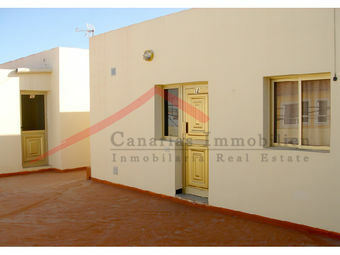 1 apartment of 42 m2 on the first floor, composed of 1 bedrooms, 1 bathroom, kitchen-living-dining room. 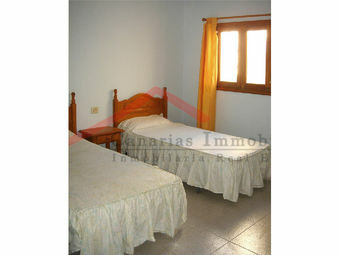 1 apartment of 41 m2 on the first floor, composed of 1 bedrooms, 1 bathroom, kitchen-living room. 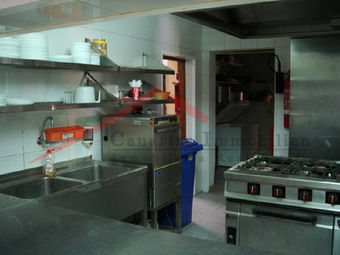 1 apartment of 61 m2 on the first floor, composed of 2 bedrooms, 1 bathroom, kitchen-living-dining room. 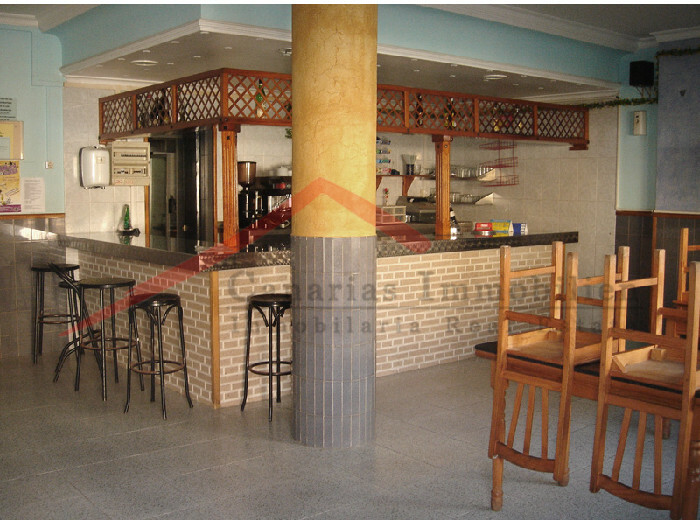 1 apartment of 107 m2 on ground floor-street, composed of 3 bedrooms, 1 bathroom, kitchen-living-dining room. Total built apartments: 360 m2. Age of the building: 22 years. Legal aspect: current of the payment of taxes and with license of opening and exploitation. Improvements: in the first floor could be extended the apartments since it has 130 m2 of common areas. Valuation value (Nov. 2009): 786,000 euros. Jearly you can rent between 400 and 500 euros. 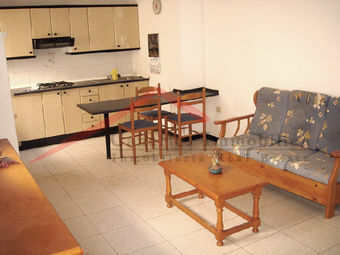 For holiday weeks, you can rent between 50 and 60 euros / day.